YOU WILL NEED A SKYPE ACCOUNT to participate in a live video chat with Dray. SKYPE is a video conferencing service that works on Mac or PC. SKYPE accounts are FREE. Download SKYPE (www.skype.com) and follow instructions. Fill out the form on the website with your basic information, contact info and any additional information in the Comments section for Dray before your session. As part of the booking process, you can send a photo link (Flikr, Photobucket, etc) and/or a video link (Youtube, Vimeo, etc) of your child. Photos and videos are NOT required for a session. Photos do not need to be professional headshots, a snapshot works as long as it captures your child’s personality. 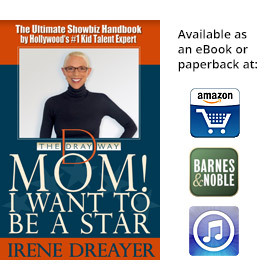 Same with a video, any video that shows your child’s personality is beneficial for Dray to see before the session. We ask that photos and/or video links be current and no older than 3 months old. All sessions and packages are paid using PayPal. You do not need to have a Pay Pal account, just a major credit card. PayPal is very simple and convenient to use. Once the transaction is complete a confirmation of payment will be emailed from Paypal. An email from The Dray Way will be sent after booking and payment with two available dates. Chose one day and time. Please note that Dray is in Los Angeles so all session times are Pacific Standard Time (PST). 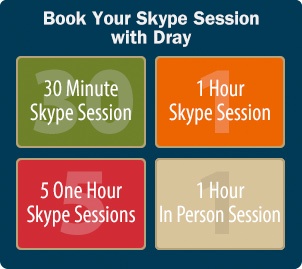 Dray will call you via SKYPE at your scheduled date and time for the session. We know schedule conflicts occur, so if you need cancel and rebook your session we are happy to do so. We do not offer refunds for paid sessions. We ask that you cancel 24 hours in advance. We will email you a new schedule with available times so you can re-book your session. Not sure what to ask? We can help! Check out the FAQs/GUIDELINES section and review our questions to help you prepare for your session.